Does Facebook want veterans who suffer from PTSD to die? That’s the question being asked by administrators of “Freedom Don’t Come Free & Devildoc,” an international page dedicated to supporting veterans who suffer from post-traumatic stress disorder, or PTSD. It’s not known why the picture violates Facebook’s nebulous standards. Julie Leonard, an Australian described by one administrator as the “heart” of the page and “a red-haired force of nature with a dedication that knows no limits,” is not only a mother of a PTSD sufferer — she also suffers from the condition. 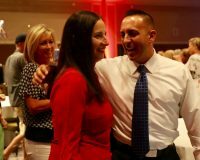 Leonard said she started the page on December 21, 2012 and supports veterans from Australia, the United States, New Zealand, UK and Canada along with their families and all who are affected by PTSD. “I believe that our page is the only dedicated international support page on Facebook to date,” she added. “We now have four pages one of which was merged with another, and three back up pages,” Leonard said. Worse yet, administrators say they have been banned for anywhere from three to 30 days. 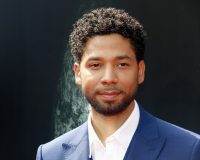 According to Troisi, Facebook retaliated almost immediately after they appealed the initial tear-down. It’s not the first time something like this has happened, as we reported back in 2014. In 2016, the Military Times reported that a study by the VA says “roughly 20 veterans a day commit suicide nationwide…” Other reports suggested 22 veterans commit suicide every day, but those numbers have been questioned. 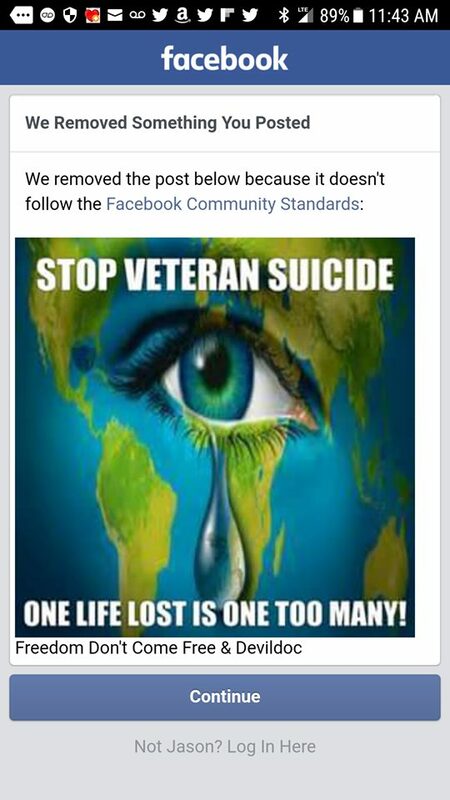 Regardless of the actual number, page administrators stress that even one suicide a day is one too many — and that was the point of the image Facebook tore down. And despite their actions, Leonard says the fight to save veterans’ lives will continue. 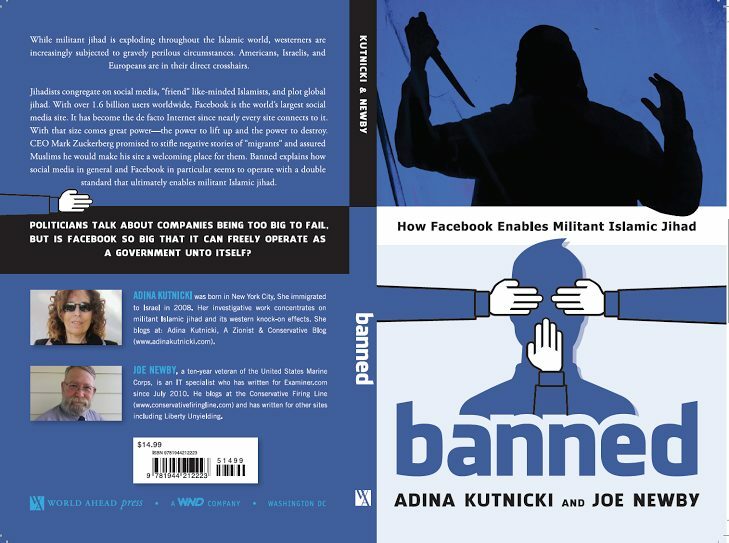 As Adina Kutnicki, an investigative journalist based in Israel, and I documented in our book, “Banned: How Facebook enables militant Islamic jihad,” the reason censorship like this takes place is because federal law sanctions it. In 2014, a federal judge ruled that Section 230 of the Communications Decency Act of 1996 lets sites like Facebook censor even Constitutionally-protected speech with zero legal consequences. Update: As of 10:00 am Pacific Time Monday, the page is back up and functioning but we’ve been told some administrators are still banned.